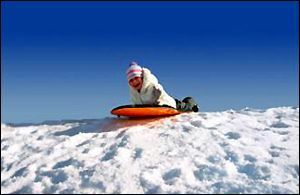 In the winter, the Tahoe Donner℠ area's Driving Range turns into a children’s snow play area with sleds provided (fee included in ticket price).Tahoe Donner℠ area real estate owners’ children of all ages are welcome and will have a great time sledding and playing in the snow. 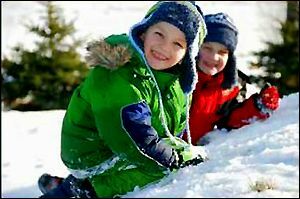 The groomed and supervised Snow Play Area is located next to Trout Creek Fitness Center in Tahoe Donner℠. 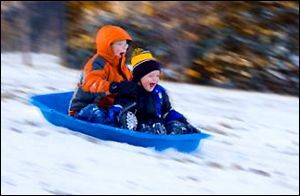 This is one of the largest and best maintained sledding centers in all of North Tahoe. Warm treats are available for purchase for anyone who gets too cold in the chilly Tahoe mountain air. Tahoe Donner℠ members are free. Guests of Tahoe Donner℠ Members: ages 12 and over the price is $7, ages 4 to 12 is $3, and ages 3 and under are free. The center is seasonally open on weekends and holidays from 9:30am to 4pm. For more information, click here.